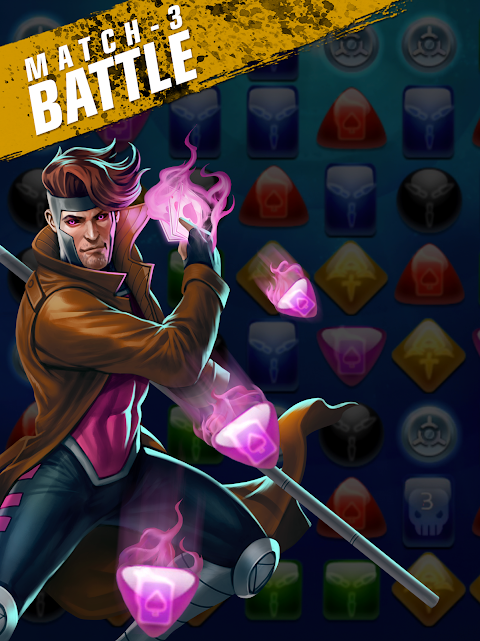  Battle the Marvel Universe in this Match 3 RPG game! Join the Super Hero action! Celebrate Spring with our limited-time offers! Marvel Comics’ fearless Super Heroes and evil Super Villains come to life in this Official Marvel match 3 role playing game! 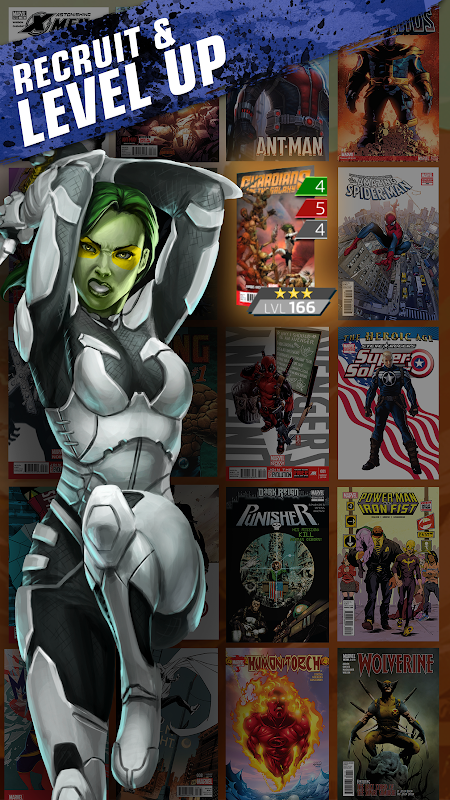 Create your own epic Dream Team using the strongest Super Heroes and the nastiest Super Villains in the Marvel Universe! 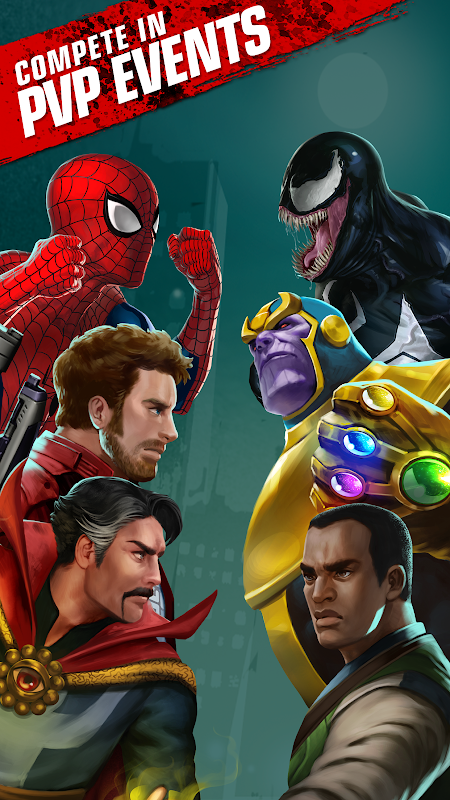 Play Super Hero characters like Spider-Man, Captain America, Wolverine and the Hulk as you battle your way to victory through multi-level match-three puzzles. Thor, Iron Man, Deadpool and other comic and movie Super Heroes await your challenge! ★ Snag the top rank in Tournaments, Alliances, and Season Play for new character rewards and other prizes! 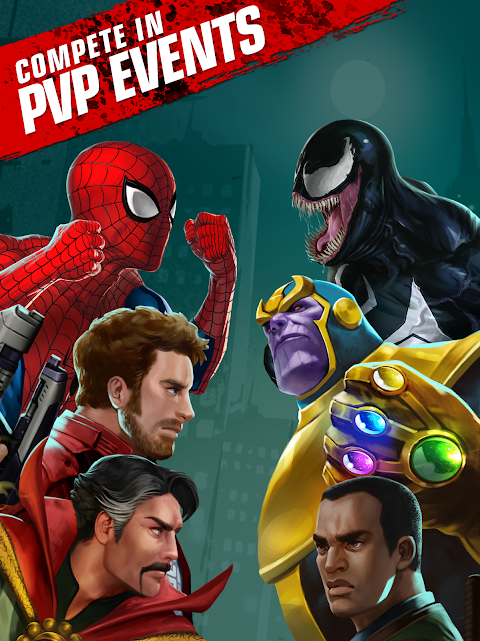 ★ Form alliances with your friends and use your collective power to fight other players in events and epic battles via chat ★ Experience deep RPG leveling ★ Challenge your team of Super Heroes in exciting Player vs. 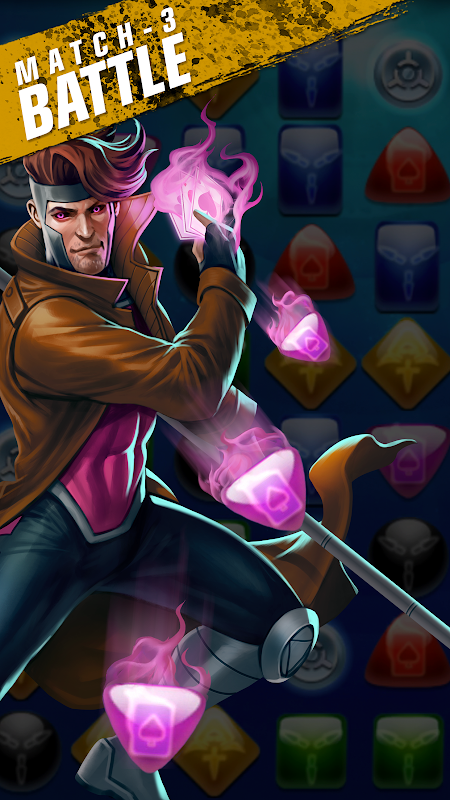 Player tournaments ★ Build strategic alliances with your favorite heroes and villains ★ Join a community of 8 million players worldwide ★ New events, features and tournaments direct from the Marvel Universe ★ Exclusively written by Marvel’s Frank Tieri (Iron Man, Wolverine, Weapon X) and Alex Irvine (Iron Man: The Rapture, Daredevil Noir) Match tiles to annihilate your opponents, harnessing Hulk’s superpower strength or Professor X’s mind control to manipulate the game board! 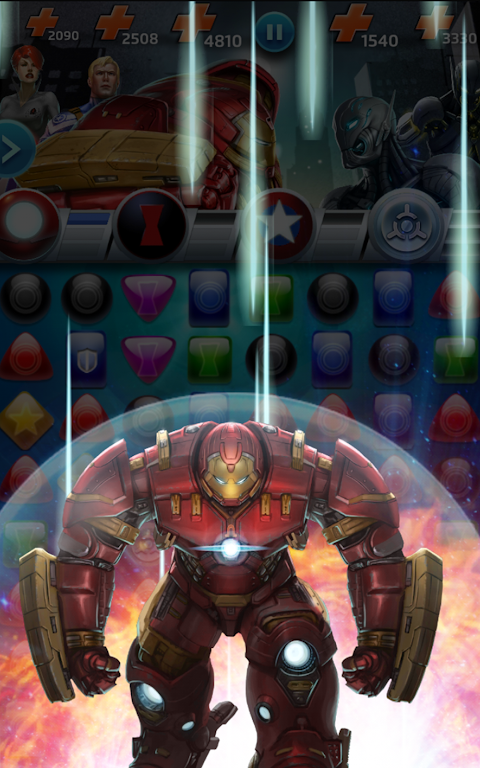 Match 3 gems to power up, damage and bring even the most powerful Marvel comics characters to their knees. Will you be able to rank among the top champions? Recruit your favorite Super Hero characters from the X-Men, Avengers, S.H.I.E.L.D., Guardians of the Galaxy and more to create the ultimate Marvel dream team! Whether you play Spider-Man alongside his arch-nemesis Venom, or play Captain Marvel alongside her Ms. Marvel successor, Kamala Khan, YOU assemble your very own epic team of Marvel Comics Super Heroes! Play Ms. Marvel and her infamous fists against your fiercest foes or launch Captain America’s shield to stun your opponents in the final contest. 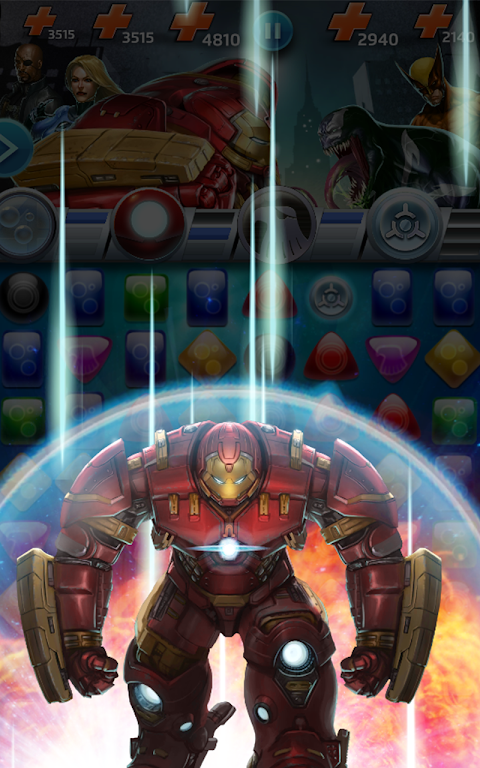 Marvel Puzzle Quest’s ever-growing list of Super Hero comics and movie characters is updated regularly with new Super Heroes including Magneto, Black Panther, Ant-Man, Daredevil and more! Harness the power of Iso-8 to upgrade your Super Hero Dream Team and collect comics to unlock Marvel characters and new superpowers. App is available in English, French, Italian, German, Spanish, Japanese, and Korean. Developed by Demiurge Studios © 2017 MARVEL GAME SOFTWARE © 2017 D3 Go!  Is Marvel Puzzle Quest yours? Claim it!